The boys in the Department of Secret Projects pushed these zirconium Atomic Ray Guns to extreme rates of fire, which clearly produced a thermal overload. The result is this crazy spectrum coloration you see below, where they range from blackened at the muzzle, all the way through blue, red/pink, gold, green and back to some shade of blue at the base. On the Mk.I bead, the Overload finish has a nice effect – there are sometimes some cool contrasting or complimentary colors in the dimples around the base of the bead. Science at its finest! As with all of the special finished Ray Gun beads, there is some variation bead-to-bead. Some are darker blue at the base, others are lighter. The bead you receive will be randomly selected from this small experimental batch. No two are exactly alike! 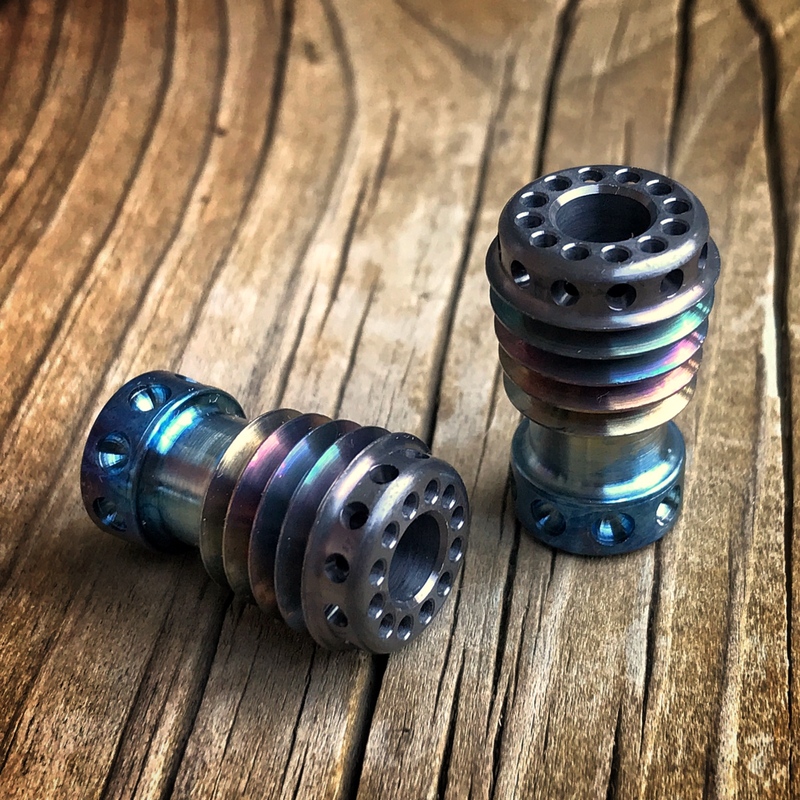 The Mk.I Atomic Ray Gun bead in Overload Zirconium are $140 each, shipped to US addresses. US buyers can purchase using the PayPal button below. Buyers outside the US can hit the PayPal button to purchase and then contact me for a USPS Priority shipping quote at mark@raygundivision.com – Typically this ends up being an additional $20-30 due to Priority International cost, depending on location. Please Note: Shipment outside the US via any method other than tracked Priority or Express is at the buyer’s risk.